With changing times, comes change in the environment, change in society and eventually change in functionality. Modern technology has indeed had a major impact on everything including the evolution of the multifunction printer (MFP). The need for mobility, safety, efficiency, quality and affordability has become clearer now than ever before. Today’s workflow solutions are designed to capture, store, manage, share, find, analyse and deliver documents more efficiently, which ultimately increases operational effectiveness and eliminates manual input. With these additional integrated services, a printing device can now provide immense value to a business, easing the burden of fulfilling stringent multi-regulatory rules and retention requirements while keeping records safe from loss, destruction or tampering. The role of the MFP provider has evolved beyond the transactional, one-dimensional provision of hardware to the actual management of data. 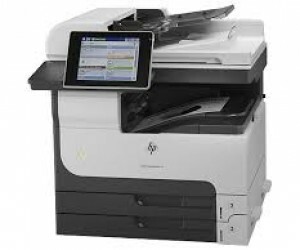 Over the past few years office equipment such as printers, faxes, scanners and copiers, were all built into one MFP known as centralisation instead of having all these machines separate (decentralised) in different parts of the office. It made more sense to have these products available in an all-in-one format to minimise office operational costs and maximize employee efficiency. This trend is now shifting towards a hybrid office environment, where MFPs are placed in a central space within the office and there are still other printers strategically placed for quick and small jobs. 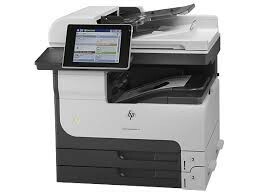 In such an environment the centralisation of office functions can work exceptionally well because bottlenecks are avoided, print jobs that are highly confidential are done from desktop printers and people stationed far from the multifunctional devices can use the devices nearest to them. The peak in preference for hybrid equipment is fuelled as people want two or three separate smaller devices that are well-placed and are conducive to their own work space as opposed to having big MFPs centralised in all business areas that may have unwanted and unused features. Pricing is becoming more relevant because of the current economic climate. Businesses are more strategic in the allocation of equipment within the office by matching the performance of the equipment to the usability in the office location and it is more specific to the operation of each department. As much as cost is a major deciding factor, so is the quality level of the equipment and the document management functionality, hence it is imperative that companies are well informed about the full capabilities of MFPs and how it impacts the daily office life and bottom line. At DEVELOP, we see an increasing need to educate clients on document and content management solutions and we also pay attention to their changing requirements. In addition, we ensure there is a rationalisation plan in place for printing solutions as equipment use changes over the years.